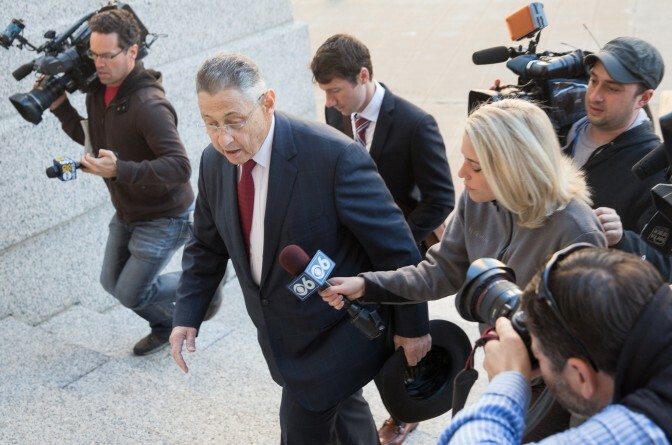 “Year after year after year, Sheldon Silver was on the take,” the prosecutor, Carrie H. Cohen, said in an opening statement in Mr. Silver’s trial on fraud, extortion and money laundering charges in Federal District Court in Manhattan. The most prominent public corruption trial to be held in New York City in decades thus began with a starkly different portrayal of Mr. Silver and, in a sense, of the culture of Albany itself. The federal trials this month of Mr. Silver, a Democrat from the Lower East Side of Manhattan, and of State Senator Dean G. Skelos, a Republican from Long Island who was majority leader, are expected to lift the veil on the seamy culture of deal-making, nepotism and secret meetings in Albany, the state capital. Although Preet Bharara, the United States attorney for the Southern District of New York, has made Albany corruption a staple of public speeches and news conferences, his prosecutors kept the broader issue out of their opening argument, while Mr. Silver’s lawyer touched on it more to suggest that the government had criminalized longstanding political actions that were not crimes. The cross-examination of the government’s first witness, Assemblywoman Amy Paulin, a Democrat from Westchester County, illustrated the defense strategy. Mr. Molo used her to show that Albany was riddled with potential conflicts, all of which were legal. In one scheme, Ms. Cohen told the jury, Mr. Silver “funneled half a million dollars of taxpayer money and other official benefits” to a doctor who in turn steered patients with valuable asbestos-related legal claims to a law firm that shared its million-dollar fees with Mr. Silver. In the second scheme, Ms. Cohen said, Mr. Silver directed wealthy real estate developers to another law firm, so that a share of its fees could be secretly kicked back to him. Mr. Silver also earned another $1 million through what Ms. Cohen said were “exclusive private investments.” Mr. Silver had “abused” the power given to him by the people of New York “to enrich himself to the tune of $5 million,” she said. Mr. Molo, in rejecting the government’s charge that his client’s actions were illegal, said Mr. Silver’s referrals of patients with asbestos claims to the law firm Weitz & Luxenberg was a means of getting “economic justice” for them, many of whom were blue-collar workers who had “unfairly and unjustly” contracted mesothelioma, a particularly deadly form of cancer, through work with asbestos. Mr. Molo depicted the fees Mr. Silver received for the referrals as standard. Mr. Molo repeatedly portrayed his client as a force for the common good: Mr. Silver was one of the “great champions of tenants’ rights,” Mr. Molo said. Mr. Molo also told the jury that members of the Assembly all served part time, and that they brought a range of experiences and relationships from their professional lives into the Legislature. During the opening arguments, the courtroom was packed with spectators, including Mr. Bharara and senior prosecutors in his office, as well as Mr. Silver’s wife, Rosa. Earlier in the morning, prosecutors and defense lawyers finished selecting the jury, which comprised nine women and three men. The members include a grade-school counselor, a college recruiter, an office manager at a medical clinic and a longtime employee of the Metropolitan Transportation Authority. Four alternate jurors were also selected, three men and one woman. Ms. Paulin had been called by prosecutors to give jurors a primer on how Albany works and explain Mr. Silver’s influence as speaker. But Mr. Molo hammered her under cross-examination about her family’s financial holdings, showing she had taken action over the years on legislation that could benefit stocks that she owns. He noted that the assemblywoman once championed a bill that would benefit Merck, a drug maker in which she and her husband own more than $100,000 in stock. “Is there anything wrong with what you did?” Mr. Molo asked her. Ms. Paulin said Mr. Molo’s line of questioning — which, at times, became so heated that the judge asked him not to be argumentative — had given her pause. “I’m actually going to be much more careful,” she said. Another prosecutor, Howard S. Master, later noted that Ms. Paulin’s financial interest in Merck was disclosed on her annual financial disclosure statement. He also added that Ms. Paulin never received anything from Merck in return for her support of the bill. 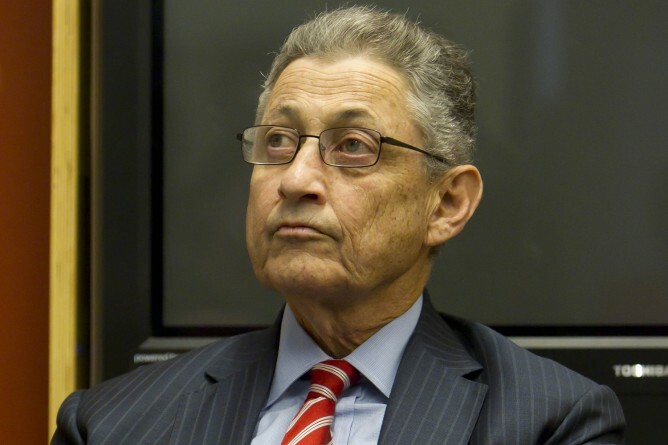 In contrast, prosecutors have accused Mr. Silver of benefiting from actions he took as speaker. Mr. Silver, standing outside the courtroom midday, repeated his oft-made claim that he would be “vindicated” by the legal process.